We had a great question come in this week about how to do storytimes on a tight budget. 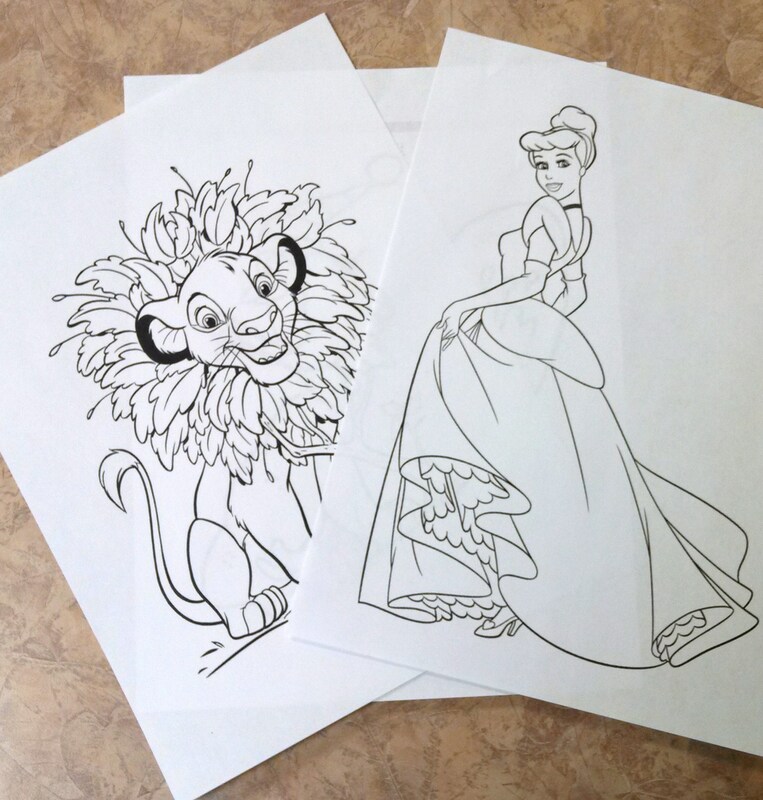 Coloring is great for improving fine motor skills! *Frequent your local thrift shops. 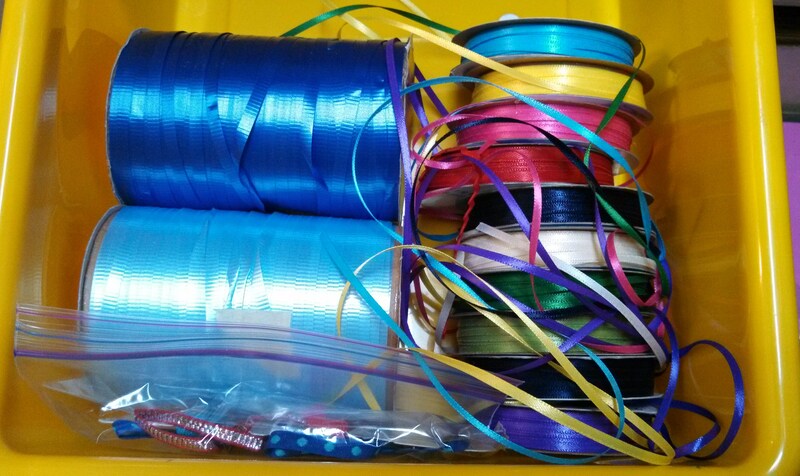 They are great places to find felt, beads, jars, string, and ribbon. Or better yet, find someone who is already a great thrift shopper, and give them a list of things you are looking for! *If you are starting a new storytime, get the word out! Post flyers on local bulletin boards, ask the schools if you can send home half-sheets in kids backpacks, spread the word through your local chamber of commerce, etc. And let everyone know that you are looking for some basic supplies to get started, like construction paper, felt, glue, etc. *Type up a “wish list” or “donation list” and post it on Facebook, on your website, or on bulletin board at your library. People are often willing to donate items, rather than money – especially when it’s for children’s programs. Ask for crayons, construction paper, glue sticks, and paint. 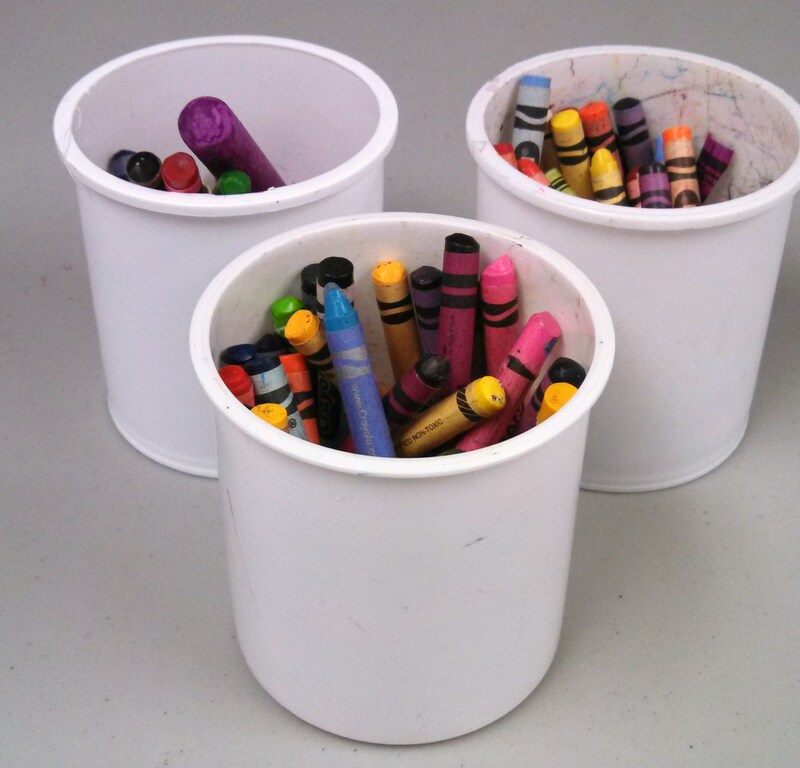 *Use free or recycled materials for crafts. Turn those old CDs into owl eyes or an ornament, an egg carton into a caterpillar, pinecones into a turkey, cardboard tubes into binoculars, oatmeal containers into drums, or leaves to make rubbings. The ideas are endless – and hey – you’re being great to the environment as well! *Ask your community to collect specific items when you need them. We have asked for baby food jars for crafts a few times on Facebook, and someone always delivers! (Other good things to ask for are tissue boxes, paper towel rolls, old CDs, egg cartons, or empty icing containers.) We have always kept crayons in empty icing containers for storytime. Crayons in re-used icing containers. *Search out recycling bins or trailers. This may sound yucky, but we have several recycling trailers in town, and when we need cardboard boxes, magazines, or jars, we can usually find the supplies there. *Check in with your local elementary school teachers at the end of the school year and see if they would be willing to donate left-over school supply items. Or see if they would set out a box in their classroom for kids to donate their old school supplies. We still have boxes and boxes of crayons from several years ago. We also received water color paints, bottles of glue, rulers, and children’s scissors. 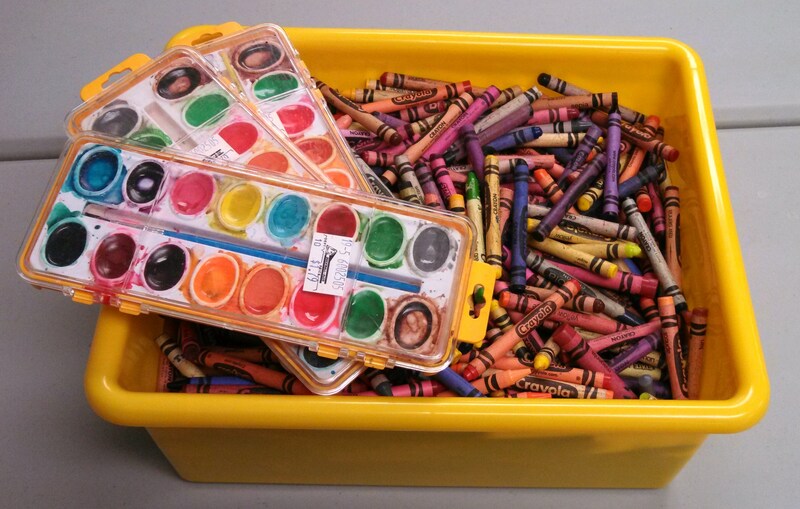 Crayons and watercolors donated from end-of-year school supplies. *Only buy the songs you need, rather than full CDs. You can purchase one song on iTunes or Amazon for about 99 cents. This means that you can purchase your opening song and your closing song for $2 total – and use them for the whole year. If you don’t have an MP3 player or laptop, purchase a rewritable CD (CD-RW) and burn your songs on to it each week. *Make your own flannel board. You don’t have to spend hundreds on a flannel board for storytime. Kayla Aimee has instructions for making one for about $10. Alternately, you could pick up cookie sheet at the Dollar Store (for $1) and use it as a magnet board. See instructions at the Intentional Momma. *Make ‘Rhythm/Shaker Eggs.’ Why spend $40 on a set of two dozen new rhythm eggs, when you can make an entire set yourself for less than $5? 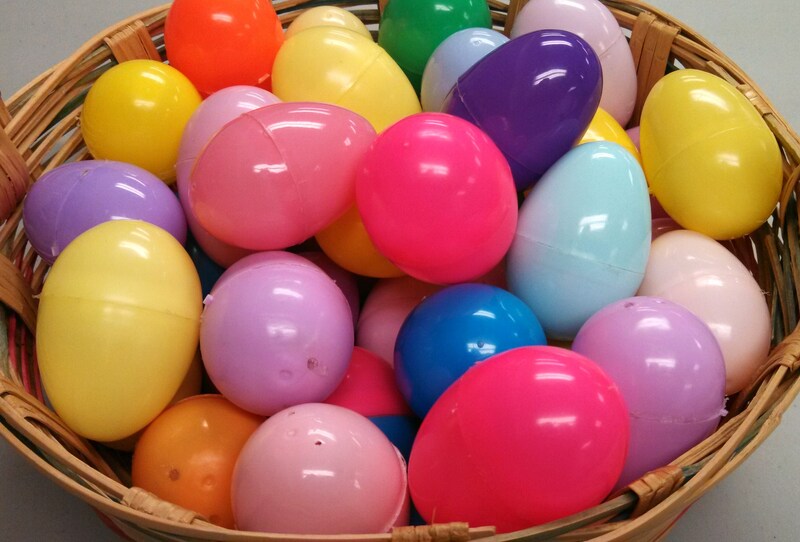 After Easter you can pick up huge amounts of plastic eggs at your thrift shop for pennies. Buy a bulk bag of rice at the dollar store. Partially fill eggs with rice and then glue them shut. Hot glue or E6000 works best. I made ours 5 years ago and not one has broken yet! *Make scarves or streamers for dancing. 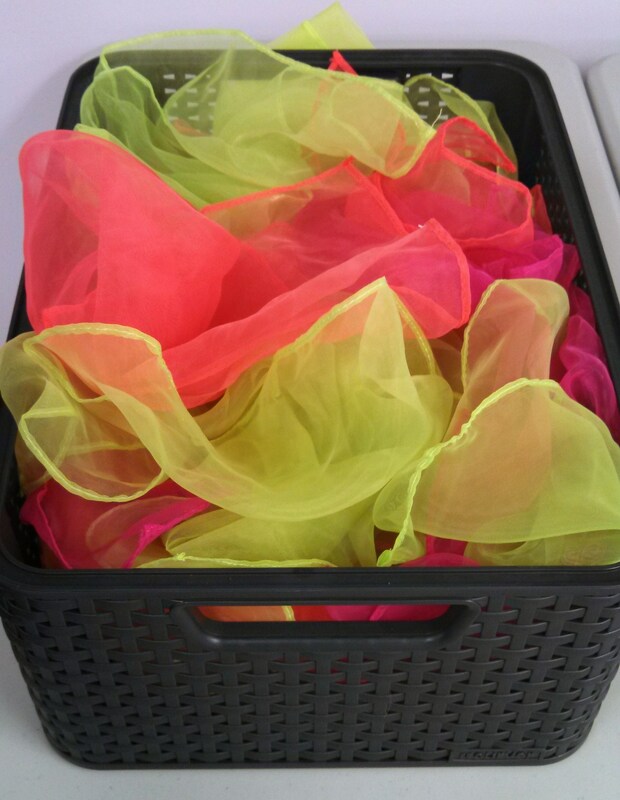 With very basic sewing skills, you can make your own scarves for dancing to music. Use a 40% off coupon at Jo-Ann Fabric or Hobby Lobby and buy one cut of sheer fabric (you can use one coupon on one cut of fabric, no matter how many yards.) Cut it into squares and hem up the edges. 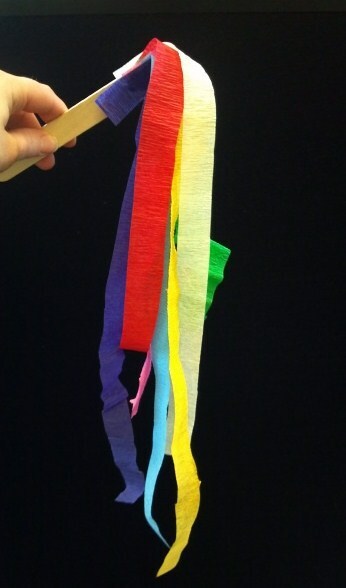 Alternately, you can glue strips of colorful fabric to wood paint stirrers to make streamer “dancing sticks.” These are worth the small one-time investment because they can be used over and over again, for years to come. Use strips of fabric (instead of crepe paper) to make these reusable. *Check with Wal-Mart, Target, and Dollar General for grants/donations. We ask our local Wal-Mart for a small gift card every summer to purchase a few books for our Summer Reading Program. Dollar General also has children’s literacy grants available. *Have a “wish list” ready-to-go in case someone asks you what they can donate. This does occasionally happen, and it’s always good to be prepared! Do you have any thrifty ideas for storytime? How do you make your budgets stretch? February 19, 2014 in Toddler Storytimes. We’ve stumbled into a great thrifty storytime idea this year. Our library joined two others in a consortium system. We are now able to easily borrow books from the other two libraries. I am able to preview the books and decide if they are a worthwhile investment for our collection. Also, there is a lot to be said for just letting people know what you are looking for. You never know which of your friends has that exact thing that they are not using! Thanks for bringing this up – borrowing books from other libraries is a great money-saving idea! We are lucky to be part of a state-wide Interlibrary Loan system, and we “test out” books all the time to see if they are something that we want to purchase.